In the intimacy of the cloisters of St. Genis des Fontaines, built from different coloured marble (white from Céret, pink from Villefranche- de-Conflent and black from the Corbières), the imaginations of 13th century sculptors created a series of fanciful men, beasts and plants atop the stone columns. Set against this historical and artistic background, the Catalan Sculpture symposium will run from 3rd – 30th August, promoting sculptors and artists living and working in the region as well as famous artists of several nationalities. 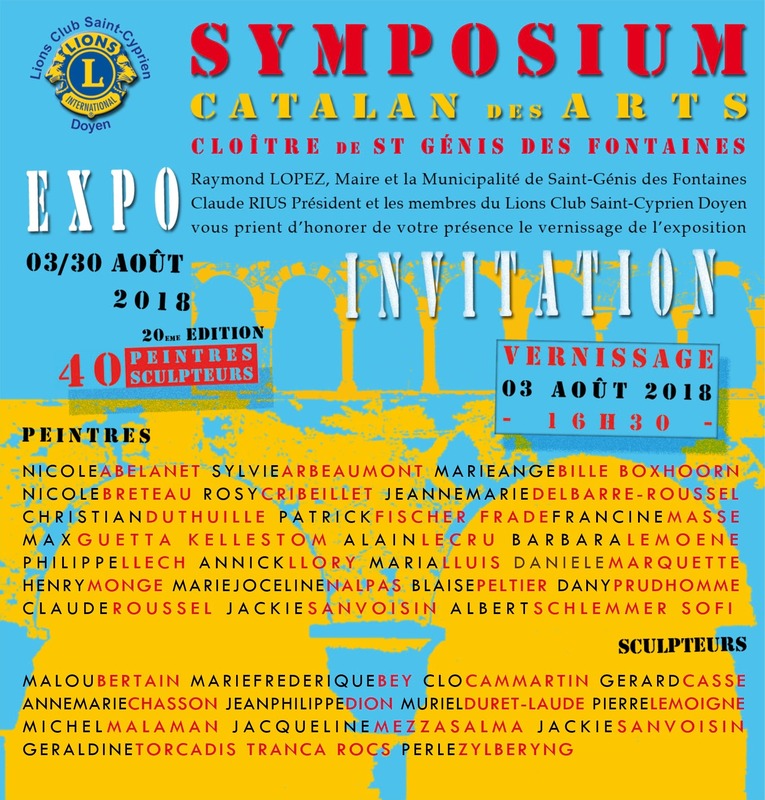 Organised by the Lions Club of St Cyprien, the symposium was originally devoted exclusively to sculpture. The first exhibition started with Pierre Renard, sculptor and Lions Club member who explains that, “For every 60 paintings, only one sculpture is sold”. The symposium was therefore a chance for local artists, without access to the galleries of big, urban cities, to be seen. This year, 40 artists (14 sculptors & 26 painters) will exhibit their works in a variety of styles so why not come along and support them? They, in turn, are encouraged to make a donation from their sales, so your purchase will also support a good cause. The Lions Club, an international charitable organisation, counts 1200 clubs in France. Each year French Lions clubs donate 20 million€ and one million hours to various social causes, ranging from children with leukemia to adults with Alzheimer’s.